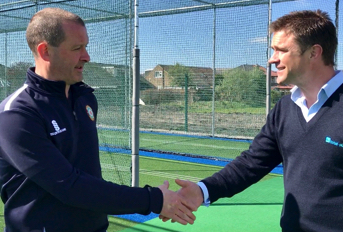 Why is grant funding for cricket clubs needed? The majority of cricket clubs in the UK are not for profit organisations run and managed entirely by volunteers. Traditionally, the main source of income comes from annual membership subscriptions, bar takings, sponsorship and fund raising events. These finances are regularly stretched to the limit as they need to cover everything from hosting home fixtures, purchase of kit, facility maintenance and other investments. For the majority of cricket clubs external investment is essential for both player development and member retention. 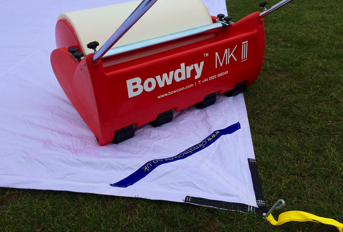 External grants can help clubs enhance facilities for both training and matches, and also ensure that the grounds team are provided with right equipment to ensure fixtures can take place despite challenging weather. Grant funding for cricket clubs can also help them create a comprehensive player pathway from junior to senior level by financing the development coaches and officials. Fortunately, there are a host of different funding streams open to cricket clubs that can help finance both revenue (i.e. coaching schemes) and capital (i.e. construction projects) based schemes. This article explains what funders are looking for in applications and shares some good practice provided by a number of cricket clubs across the UK. 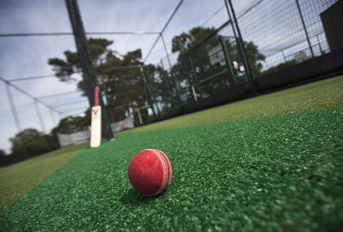 However, whether a cricket club is looking to buy a new ground cover system, develop its artificial cricket practice net facilities, install an artificial cricket match pitch, overhaul a natural cricket table or invest in new coaching aids there’s always the question of where the funds will come from. Fortunately for clubs, there are a host of grants for cricket clubs and funding for cricket club projects available – either to bolster a club’s in-house fundraising efforts or as stand-alone, full grants. What do cricket club grant Funders fund? Grant funding is focused on two particular areas; revenue – normally smaller amounts up to £10,000 – and capital, larger amounts for construction schemes, either new build or refurbishment. External funders offering grants for sports clubs are keen to fund new and enhanced activities but will not consider general running costs. For example, a scheme that aims to develop participation rates by running a holiday club would be eligible, but a project that covers utility bills would not be considered. Cricket club funders are also keen to leave a legacy. To demonstrate this applicants are regularly asked to demonstrate how a project will become self-sufficient once funding has stopped. For example, a cricket club could apply for funds to run a holiday scheme and support this with investment for parents to attend a variety of coaching courses. This project would help increase participation levels and provide a framework of coaches to retain new members in the long term. Revenue funding streams cannot be used as part funding for larger, capital schemes. Construction projects, whether they be new build or refurbishment, are classified as a capital scheme. An example of a capital scheme for a cricket club would be the installation of an ECB approved non-turf practice facility, or the extension of an existing pavilion to provide female changing rooms. Unfortunately, the days of a single sports grant funder financing the majority of a large capital scheme have gone. To fund this type of project applicants will now need to make a number of applications to a variety of sources. Although this process can be extremely time consuming, the creation of a clear project plan can provide background and evidence for need that can be used for multiple applications. From experience, total-play has witnessed cricket clubs make multiple funding applications to a number of sources including national governing bodies of sport, Sport England, landfill operators and local authorities. It is also worth mentioning that the majority of capital schemes require planning permission, and this is something that cricket clubs need to consider as part of their project planning. Numerous organisations offer cricket club funding; including the England & Wales Cricket Board through its small grants scheme and interest free loan schemes and several Sport England funding streams. Other sources include landfill operators’ community funds such as BIFFA Awards, WREN Funding Viridor Awards and Veolia Environmental Trust Funding; Section 106 Funding and charitable bodies such as The London Marathon Charitable Trust. Options should be researched thoroughly on an individual project basis as not only do they regularly change but different sports funding streams have different criteria and deadlines – some only have one intake of applications per year – so, again, significant advance planning is essential. Over the years, total-play has worked on projects where clients have drawn on a hugely diverse range of cricket club funding streams. As an ECB Code of Practice Installer for non-turf pitches that has developed no less than three ECB approved artificial cricket pitch systems, our installations meet the ECB and Sport England’s criteria for funded projects. This has seen us work on countless projects to install non-turf cricket match pitches and artificial cricket practice facilities over the years, at cricket clubs ranging from grass roots level to first class and also on behalf of schools, universities and local authorities. 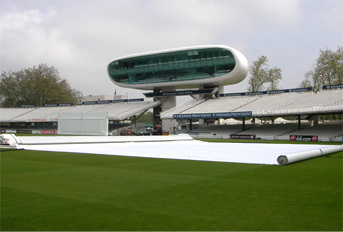 The thing that the majority of these projects have in common is that they will almost all have benefited from some kind of third party sports club grant, including several of those listed above and some historic streams such as the Lord’s Tavernor’s cricket club funding and many more that have since come to a close. Here are just a couple of examples of projects completed by total-play Ltd that were funded partly – or fully – by sports funding streams or cricket club grants. Many more examples can be found on our Case Studies page. At Frimley Green CC in Surrey, home to the Surrey Visually Impaired County Cricket Club, total-play Ltd installed a new 33m fully enclosed practice nets facility to its ECB approved tp365 design. The club generated £31,000 to fund the project, including £20,000 from the ECB and £3,000 from the Trustees of Surrey Cricket Board with member-run fundraising events and support from local businesses also adding to the pot. 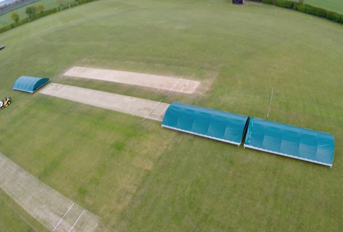 An example of a project where total-play supported the client through the funding bid process was at Hertford CC. 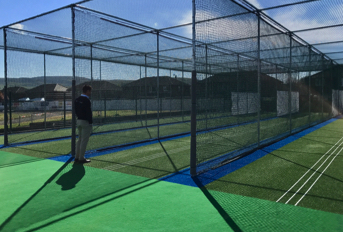 The club was looking to replace an old artificial cricket practice nets facility at with a new 30m open non-turf practice system. The club accessed funds from various sources, including a BIFFA award, for which total-play assisted with the application process and provided drawings for a system built to its ECB approved tp365 design.